Katie! How cool to see you helping your human do the shopping! We were bummed that our local PetSmart didn't have the duck in stock, because I L-O-V-E duck maybe even more than I love chicken! Shopping was very fun! Katie even let a few people say hello and pet her. Katie's favorite by far is the Rabbit! Harry the Farm cat wants to know if there is "gopher" for in the winter when the hunting isn't so good. He is down with raw gopher. He's tried rabbit recently and he likes that too. My cat Sam seems to have a seefood diet. He sees it and decides "It's food!" ;D The biggest barrier for me switching my cats to raw is cost. I don't know about affording it on a regular basis, never mind at the same time as buying what I'm feeding them right now. And my other cat, Maya, is So Picky, the thought of trying to get her onto raw makes me groan and think of all the wasted raw that would probably end up in the garbage can because she turned up her nose at it. The transition period can be hard. The slower we went the easier it was though. And that meant far less waste. Between the various raw and whole foods we're using now, we're actually paying less than we are for our previous canned food. Just let us know if you need any help finding something that will work for you. How awesome you got to go to the store, Katie! Our PetSmart doesn't carry any Instinct raw at all. 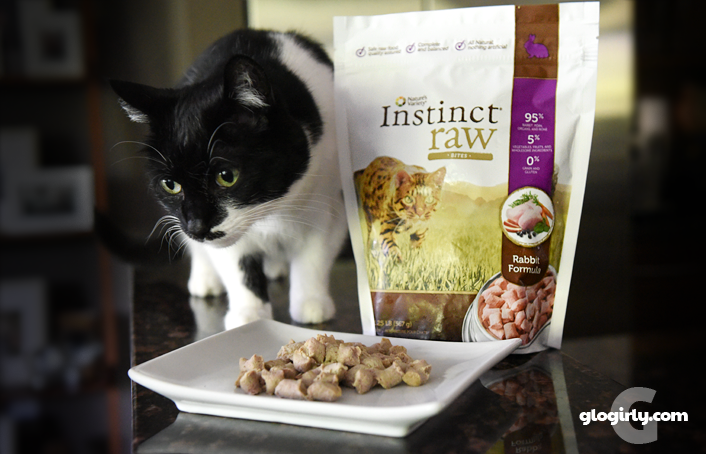 PetCo carries raw, but stopped carrying it for cats. The Pet Supermarket said that the head peep was literally the only person buying it there, and then their supply dwindled, too. 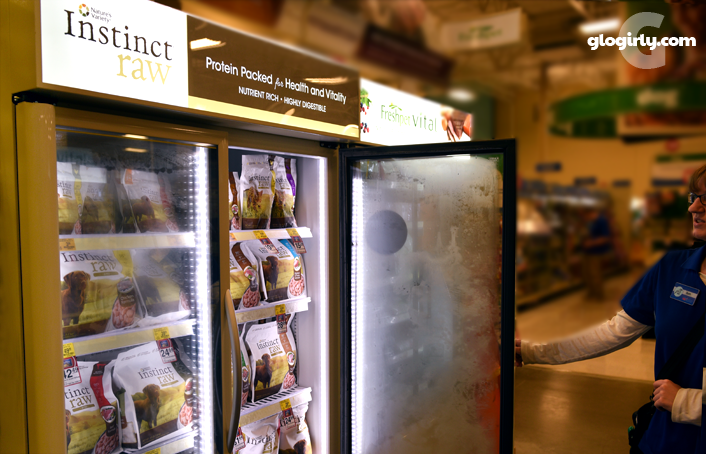 We're glad to see that availability is better other places. Well that's a bummer! It's not like you live out in the middle of nowhere! 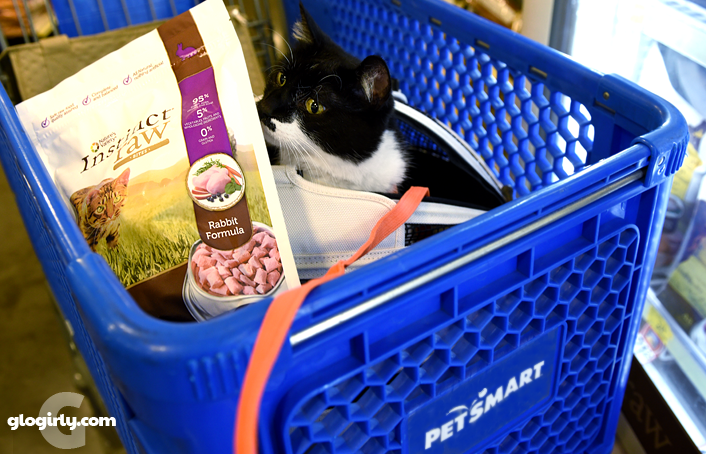 We hope that PetSmart gets behind this brand and makes it more readily available. I'm so happy to see you feature this topic on your site. 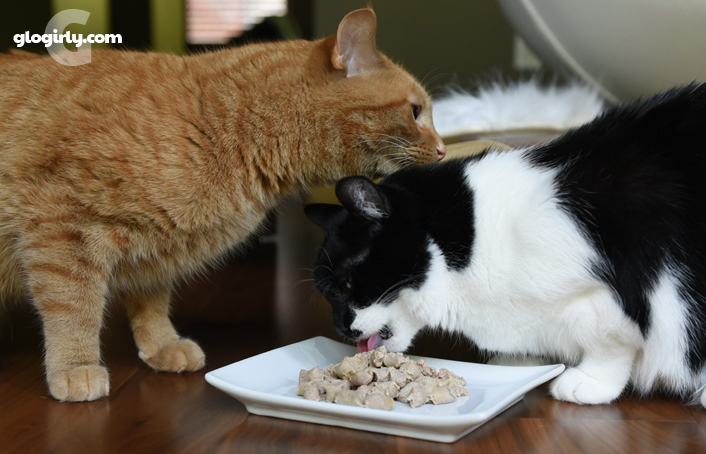 I think it's so important for cat guardians to read about "real life stories" about how much better cats do when fed a species-appropriate whole food diet. Thank you, Ingrid! 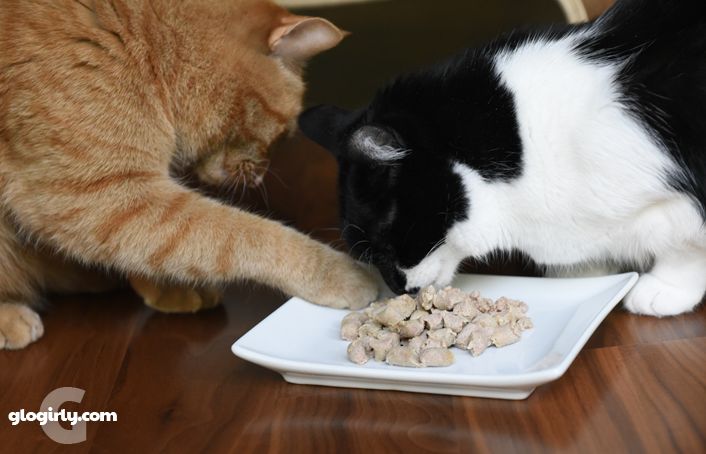 We've learned so much from you and your incredibly thoughtful and knowledgeable Concious Cat site! Thanks fur the info. We've run out of moles and voles here .... We need some real meat. Me does trust your recommend , Miss Katie ! Pretty cool you can go shopping with your mom. The photo you are in da basket is pretty cute ! Thanks for the post. I always wondered about these foods. I've tried raw bites with Mudpie and so far she's been pretty picky with it but I'm going to keep trying!!! We had to go very, very slow. Much slower in fact than the brand recommends. But we're so glad we stuck with it! Pawsome info!!! We'd like to try some of those! Good info. We've never tried Raw but Mom has considered it. It sounds like a great choice but I am so picky. 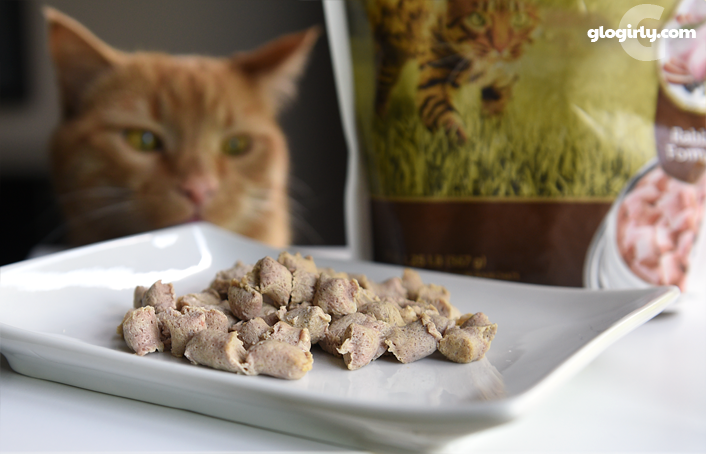 Mum has tried several times over the years to get me and also Eric onto raw food. The only raw food I will eat is what I have caught myself. Gweat posty. We wish they carried them wound here sumwhere. They only recently started carrying Instinct Raw at our local PetSmart. Hopefully they will keep expanding! I wish we could have found the Instincts for Molly Mew. 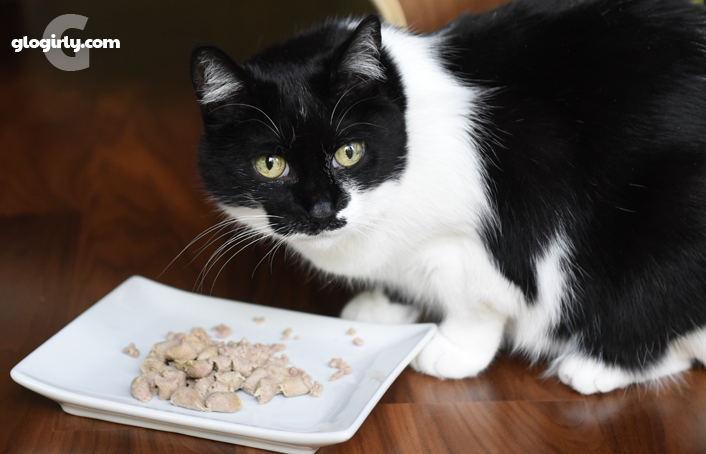 She loves her raw tuna and you are right about the poop. It doesn't stink! With Molly Mew being the only kitty, ma has to scoop her box only once a day. She has one pile to scoop and that is it. The boby absorbs the rest. 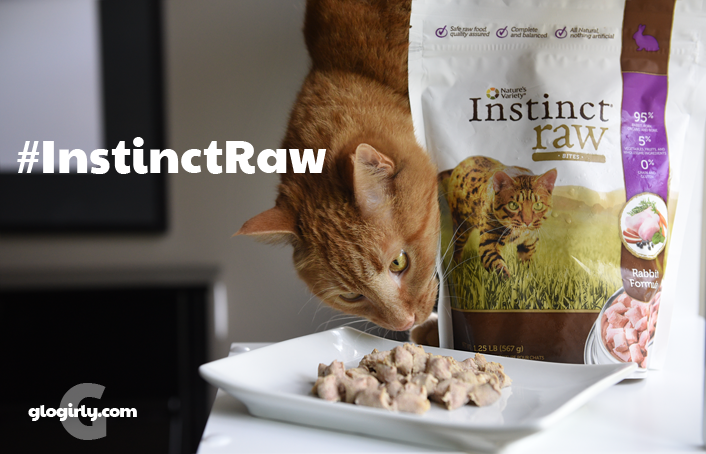 We love Raw Instinct! We know! The poop factor isn't something that gets mentioned very often and it's really a testament for how well the body absorbs and uses the food! We hope you can find some for Molly Mew in the future! TW says she’d love to try this but I won’t eat anything that comes out of the refrigerator even after she thaws it. She’s also scared of getting e-coli or something and the work of sanitizing the counter every day. I’m so happy Katie is featured and got to go to PetSmart too. Wow, thanks for sharing your experience with us, Katie, Waffles and Glogirly! We're on specialized diets (well Moosey is, anyway) here because of medical issues, but we have heard about Instinct, and been curious. Really, really interesting! We're still getting used to the raw bites. Truffle ate it after Mom Paula fed her from her hand. Brulee says the "jury is still out" on whether she will eat them.